First of all, I want to say a big thank you to Vanity Trove for their wonderful idea to collaborate with bloggers. It sure has added some element of excitement to my life knowing that I’ll get to try something new every month (third one, so far). You can check my my reviews on the March and April Edition. I can tell you this month’s box is the best yet. The theme is “Awesome Wholesome”, and the focus is inner peace vs outer beauty. Well I’m all for skin care and beautiful glowing skin. A quick look at my daily regime you’ll know I spend a lot of time caring for my face and body, rather than piling on cosmetics on my face (except for events and performances, that I can’t really avoid). So this is definitely right up my alley. Before I opened the box, I detected a pleasant scent telling me that I will like this very much. Initial thoughts: The products have bulked up as compared to the previous boxes. I guess I’ll start with my favourite products, which would be the Pure South Organic Body Lotion with Fresh Goat’s Milk, followed closely by the Tilley Goat Milk Soap. My preferences for products has always leaned towards the creamy side. Think shea butter, cocoa butter, milk and honey. Which is why this duo of products ticked all the right boxes. The body lotion contains plant extracts and pure essential oils, perfect for dry skin (in my case, “aircond” skin). The rose oil and rosella extracts made the lotion smell amazing while boosting skin cell renewal. I normally opt for shower gel for quicker shower, but occasionally using a bar soap can be a treat to my skin. This soap is wonderfully creamy and great for sensitive skin. Keywords: Organic Shea Butter, Organic Jojoba Oil, Organic Cocoa Butter. Love it! I think I might actually stick to this product for the long term. Of all the essential oils available on the market, my favourite has to be lavender. 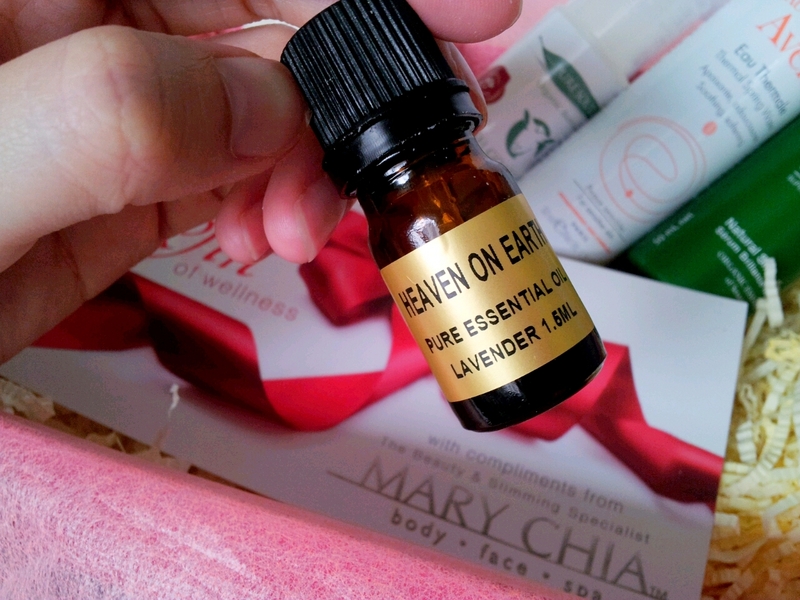 Lavender is extremely versatile and the Heaven on Earth preparation can be used directly on the skin, inhaled (the vapor of course not the oil itself, best in a hot bath). As a chronic poor sleeper, my favourite way to use this is to apply a few drop on my pillow to help me sleep better. Apart from its well known relaxing/calming effect, it can also soothe insect bites. 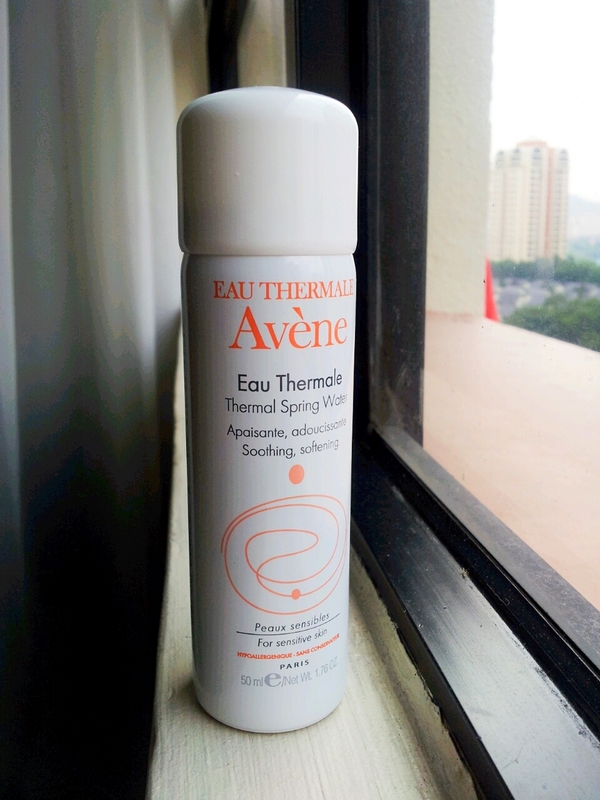 I’m actually using the Eau Thermale Avène Very High Protection Emulsion (SPF 50+) as my sunscreen. The KL weather is brutal and this Thermal Spring Water is great for the cooling effect on skin especially during super hot days. Besides, it’s great for sunburn skin (although best to avoid sunburn in the first place), setting make up, soothing all sorts of skin irriation etc. This 50ml bottle is perfect for my handbag and will stay there from now on. I can never pronounce Schwarzkopf properly but I do like their hair products. 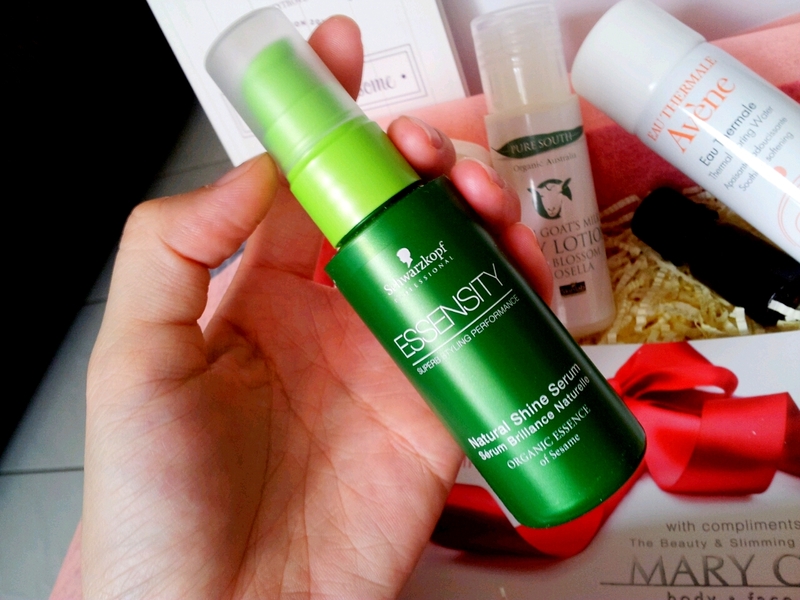 Fizzy hair is never a problem for me but it doesn’t hurt to add extra shine to my hair with organic essences of sesame and olive oils from the Essensity Natural Shine Serum. The citrus scent is rather refreshing too. Vanity Trove is also going to have a special booth at the Market, Jaya One this Saturday and there will be many exciting activities for us all. I guess I will see you there! To order the June Edition of Vanity Trove, sign up and subscribe at www.VanityTrove.com/my for monthly subscription fee of RM50 or choose the 3, 6, 12 months subscription options. No need lah…so pretty already. Hehehehehe!!!! If I don’t look after my skin I’ll have breakouts and lines. maintenance is key. I agree with you, the products seem to have been put together with a lot of thoughts; all very practical but also offer a sense of indulgent pampering. Yeap everyone needs to be pampered sometimes! Yeah they did a really good job. be sharing. When submitting content articles, make confident you read the grammar of the article.